Everyone makes mistakes of course, but this one was on the funny side ahead of tonight’s WBA super-middleweight world title showdown in Manchester. The closer the fight gets the more and more the odds seem to be favouring Eubank Jr. Whom a lot of late money appears to be piling on. Some after seeing the weigh-in perhaps are convinced that Eubank Jr is in better shape. Those who have followed Groves’ career will tell you however that Groves always looks a little weight drained at the weigh-ins. However with information like this been frequented about Eubank Jr ahead of the fight, its little wonder people are favouring him. With a record like that he must be unstoppable, surely. 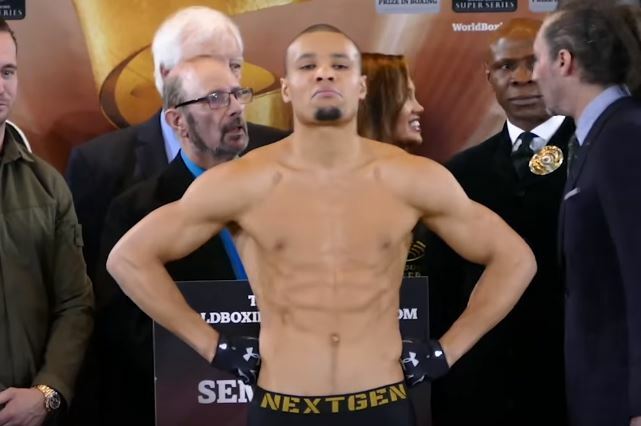 On a serious note, Eubank Jr as confident as he appeared to be at yesterday’s weigh-in knows he’s in for one hell of a battle tonight in his heart of hearts. Groves is not going to give up his world title without a ferocious fight and with the final of the World Boxing Super Series up for grabs for the winner – all is to play for.